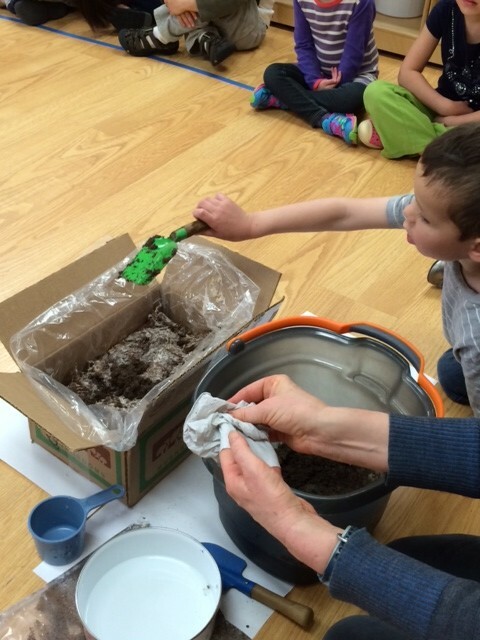 We have been doing a lot of gardening and getting ready for spring. This year we thought it would be fun to grow mushrooms! 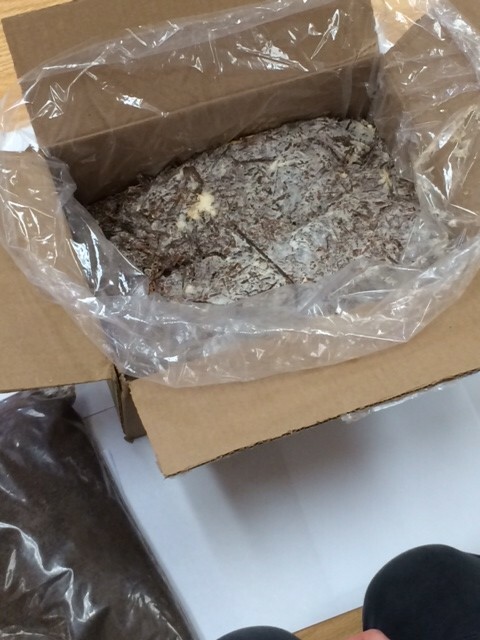 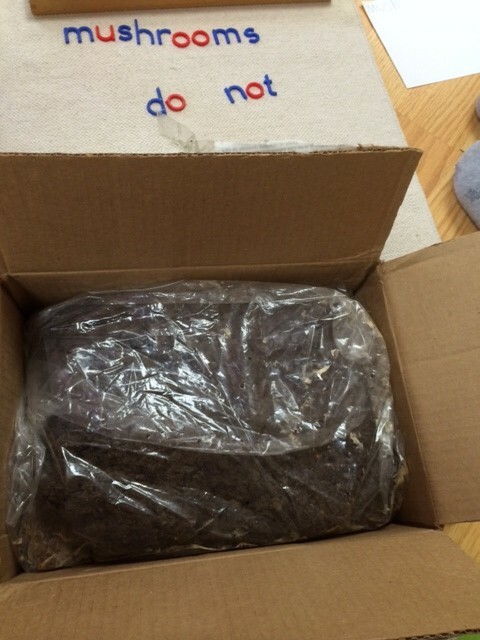 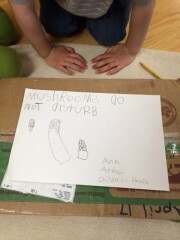 We ordered a mushroom growing kit from a farmer and have begun this process. 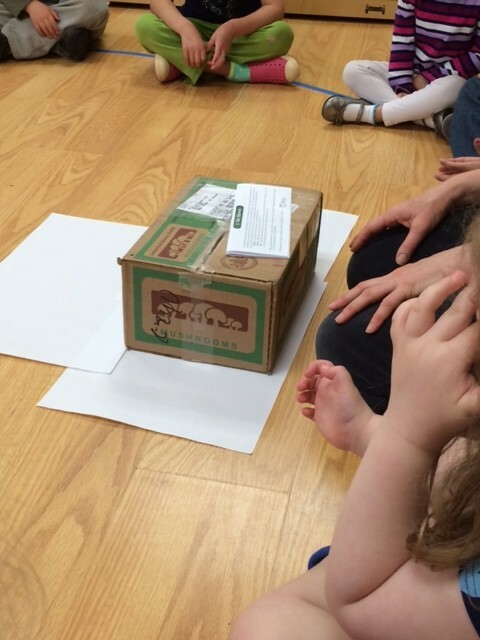 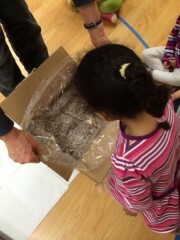 We showed the children the kit and talked about how mushrooms grow from spores. 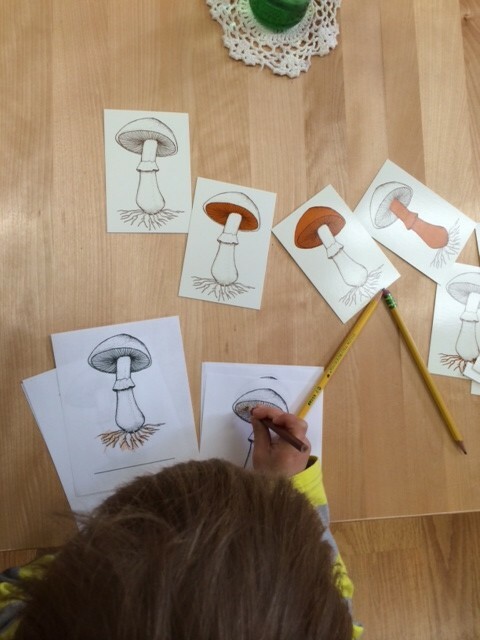 They are really not a plant but have their own category as a fungi. 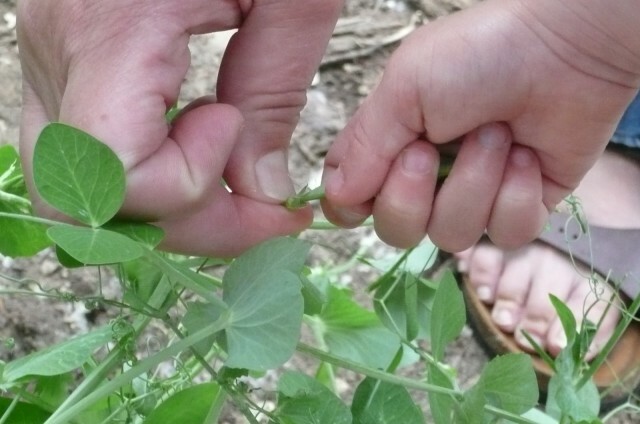 They actually obtain their nutrition by metabolizing non-living organic matter. 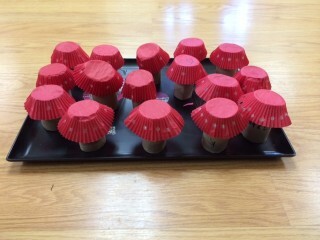 These mushrooms came to us in compost. We all took a turn smelling it and these were some of the comments: It smells like: woods, moss and bark, chocolate, woodchips, bees and bark. Some children just thought it was stinky. 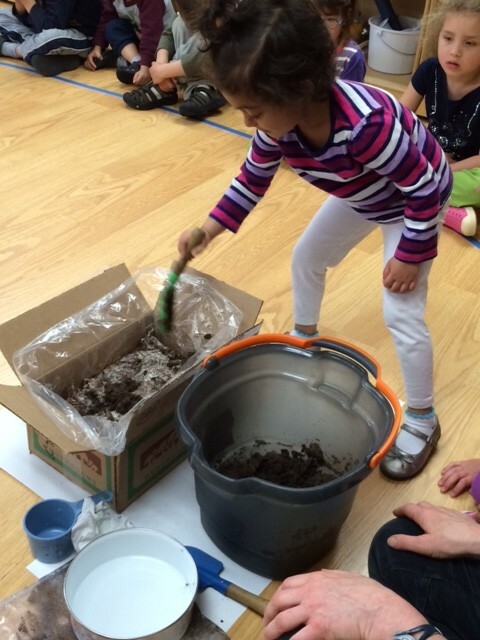 We put the dirt in a bucket. 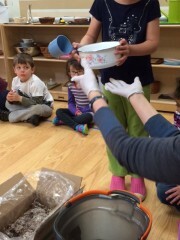 One of the children brought three cups of water. 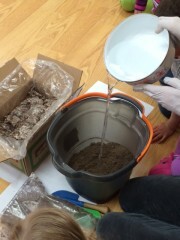 We then added water and mixed. The squeeze test is done to make sure it is moist enough. For us it wasn’t so we added a bit more water. 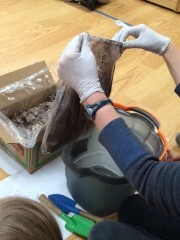 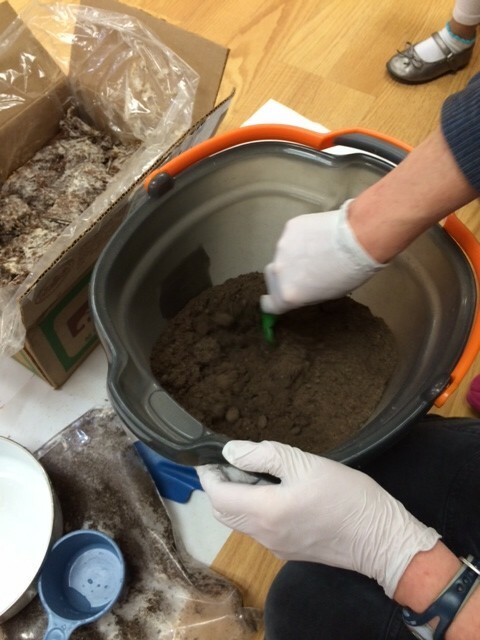 We then put this mix on top of the compost and mushroom spores. 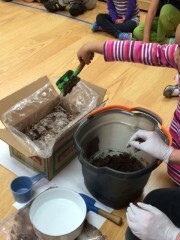 After this process was complete and everyone had a turn putting the dirt on top, some children wanted to make a sign. 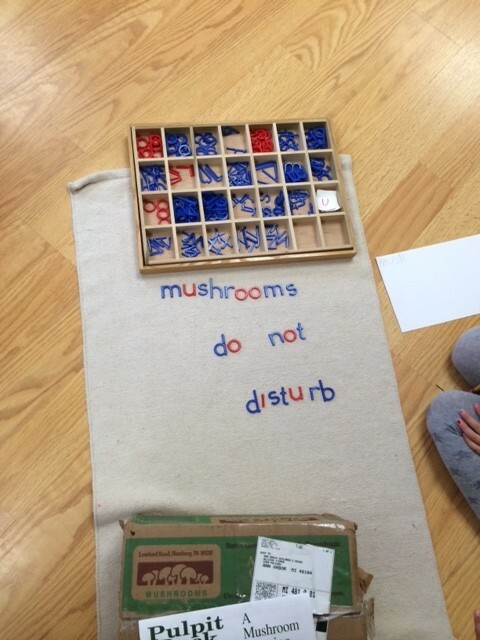 The moveable alphabet was used to write the words and then someone wrote them on paper. 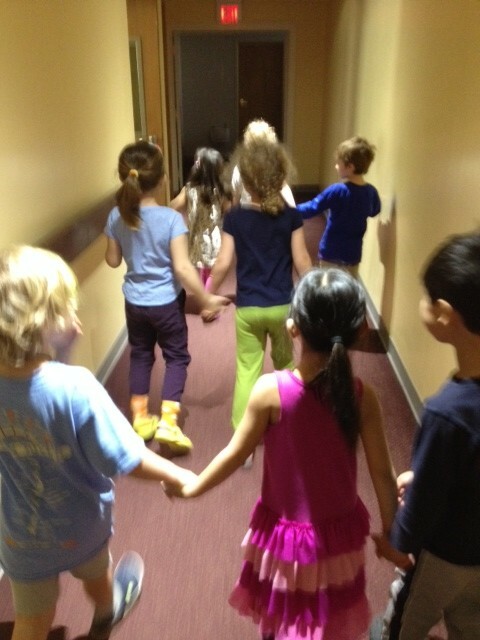 Lastly, some of the children went with a teacher to a dark, furnace room to place the mushrooms for optimal growing. They need it to be dark and about 75 degrees. Inspired by the study of mushrooms, some of the children engaged in other activities. 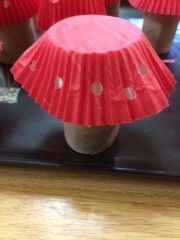 One was making a paper mushroom. 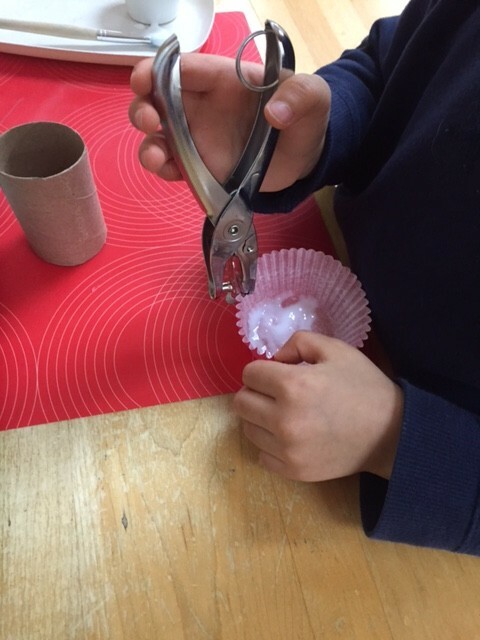 These types of activities require the child to use different types of tools such as a pencil or marker, glue, hole puncher. 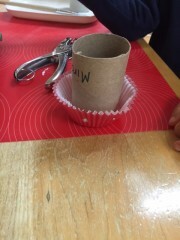 All of these help to increase fine motor skills and connect the brain with the hand. 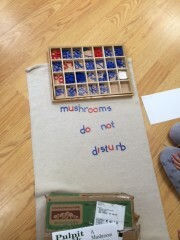 Another fun activity was painting with mushrooms! The child picks up a mushroom that is on the end of a plastic fork, dips in paint and creates their own picture. 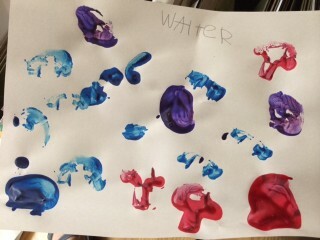 Lastly, some of the children like to create their own nomenclature book. 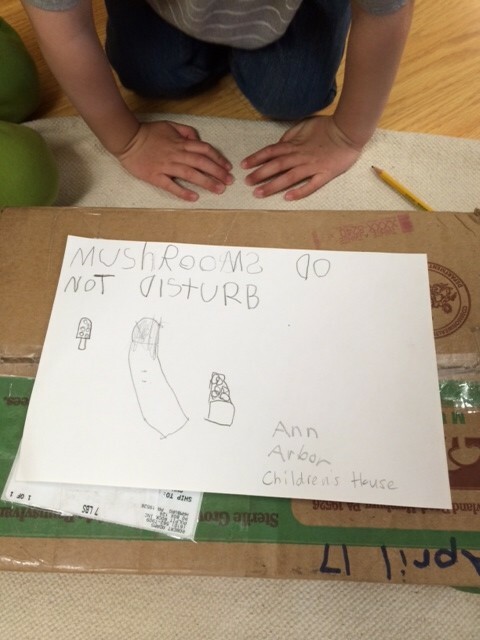 We hope to have real mushrooms in a few weeks and will update the blog then! 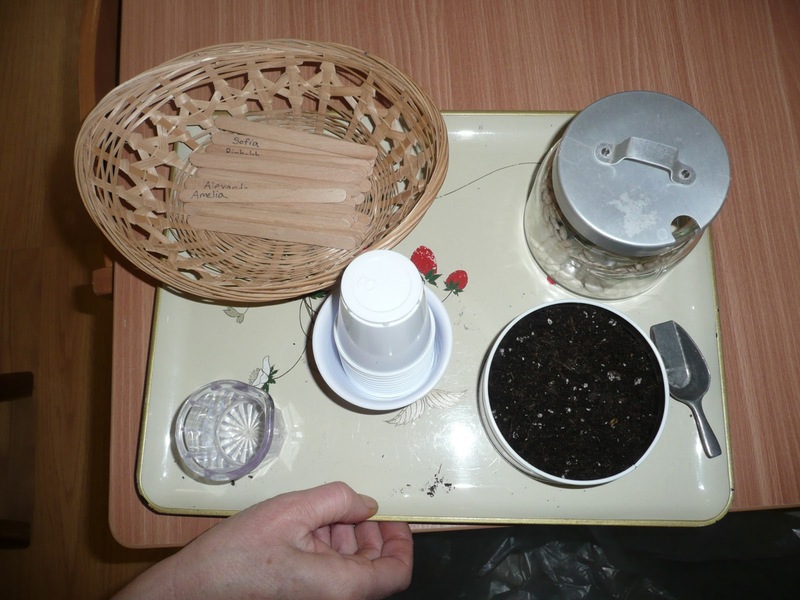 One of the many works we do in the practical life area is that of transferring items. 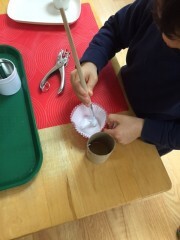 This may be using a spoon to transfer beans from one bowl to the next or using a sponge to transfer water from one bowl to the next. 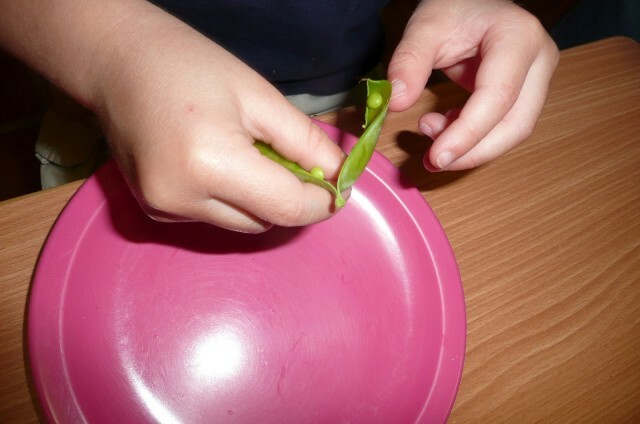 The children strengthen their fine motor skills and learn to become more independent in these types of skills. This is a variation that works as those with more skilled fine motor skills can use tweezers and those on the path of refining their skills can use their fingers. These types of activities also help to develop concentration and they satisfy the child’s need for order. 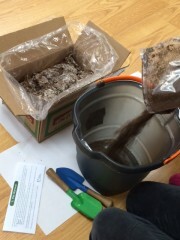 We have been learning about plants and the children have been able to grow wheat grass, sprout a seed and are now planting a bean. 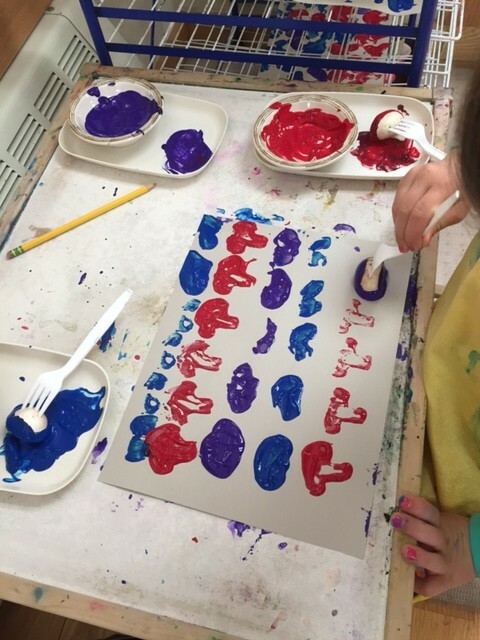 The work is set up on a tray. 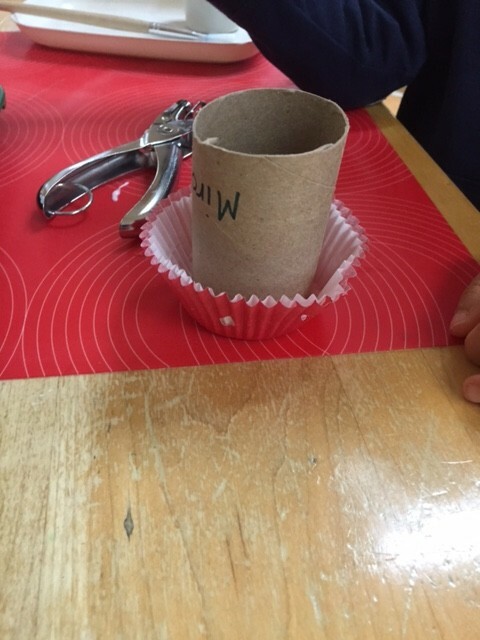 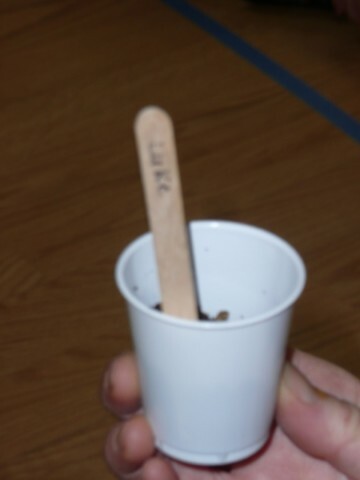 The children chose their name marker and put it in a small cup. 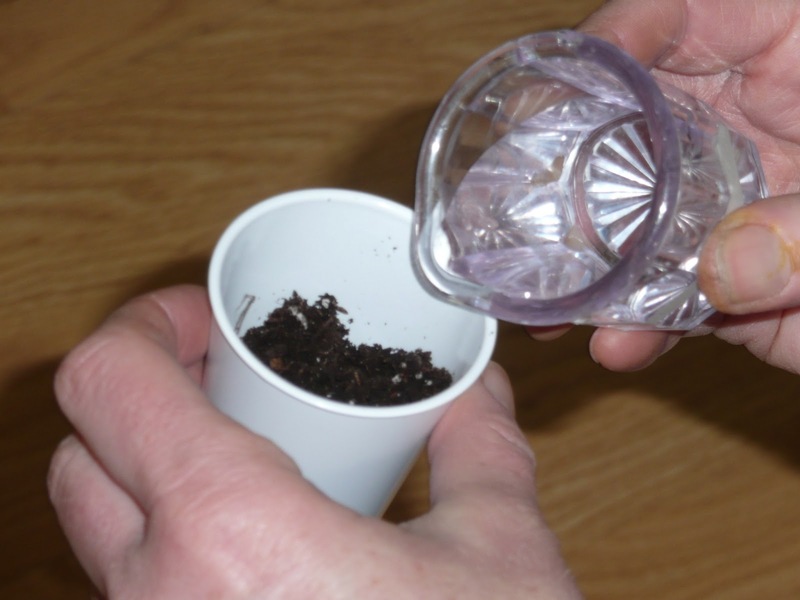 Fill the cup with dirt using a tiny scoop. They then pick out a bean and push it into the dirt. Lastly, they fill up the tiny pitcher with water and pour it on the dirt. 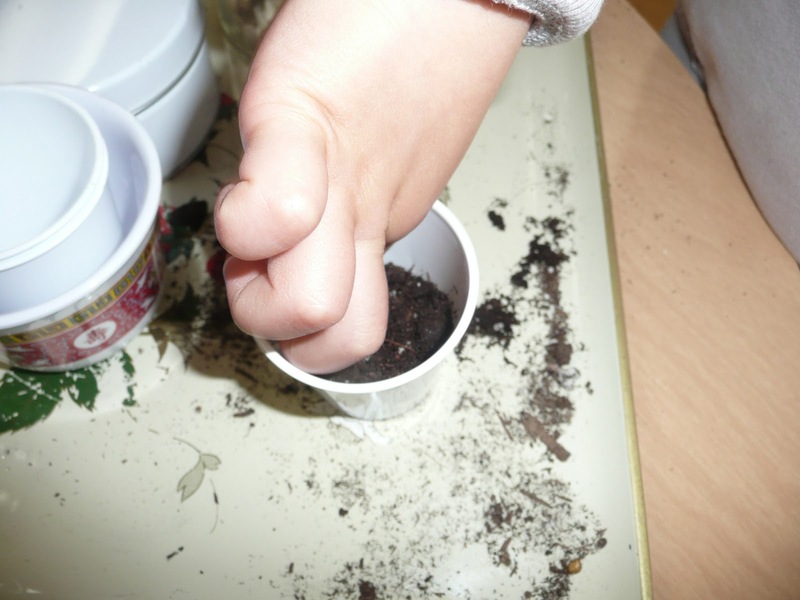 Dr. Montessori felt that gardening was very important and rewarding for children. 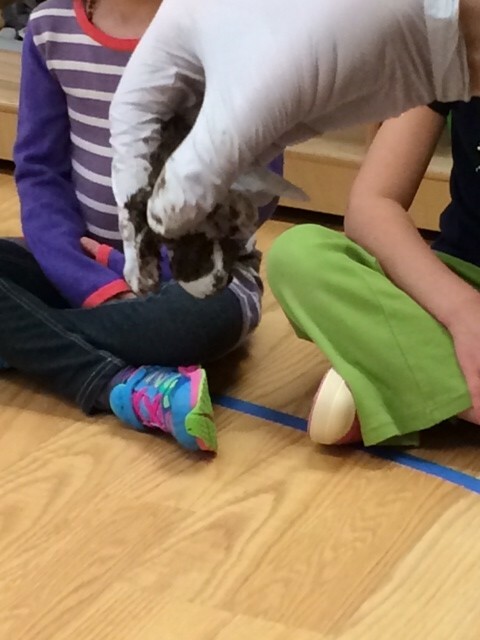 They learn how to care for a living thing and also see a life cycle in action! In mid-March we planted peas in our garden. 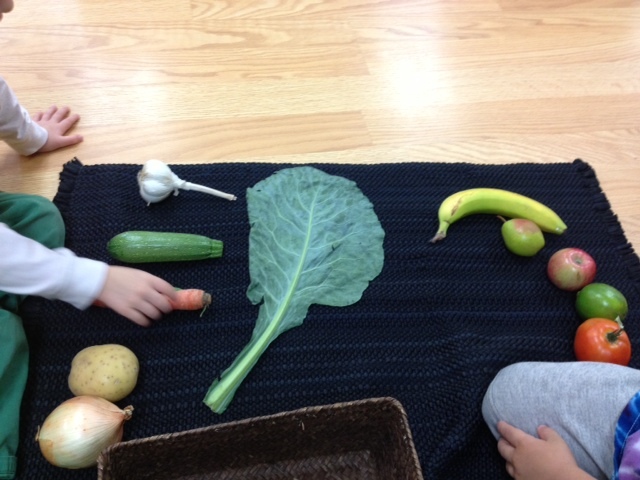 This is an area protected from the cold so they grew and grew!! 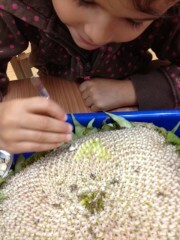 Today the children were able to pick, wash and eat them! 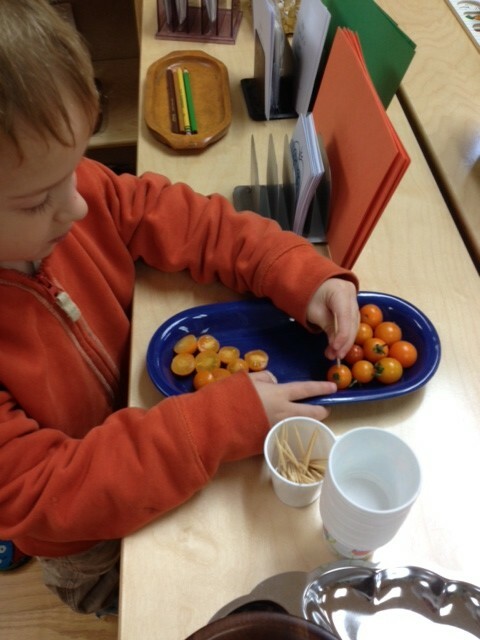 They used the picking basket and went outside with a teacher. The children were shown where the peas were on the plants. 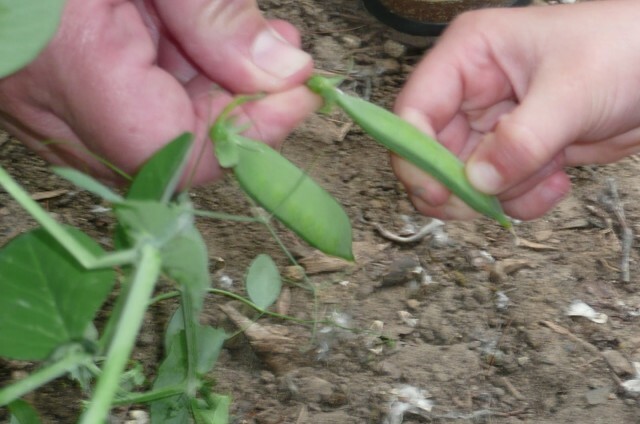 Once they had a few, they brought them inside, washed them and then were shown how to open the pods. Most of the children ate them off the plate, others decided to walk around and offer them to their friends. 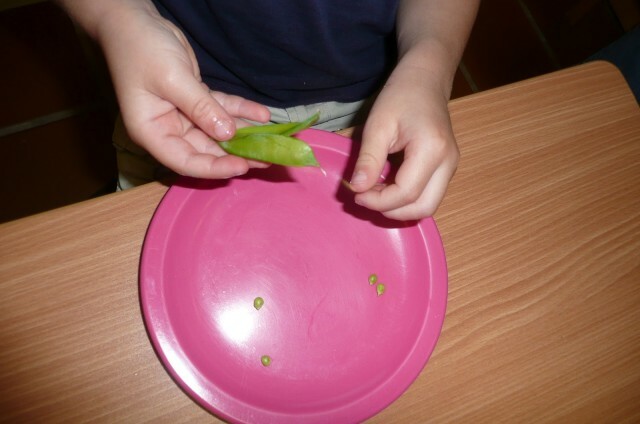 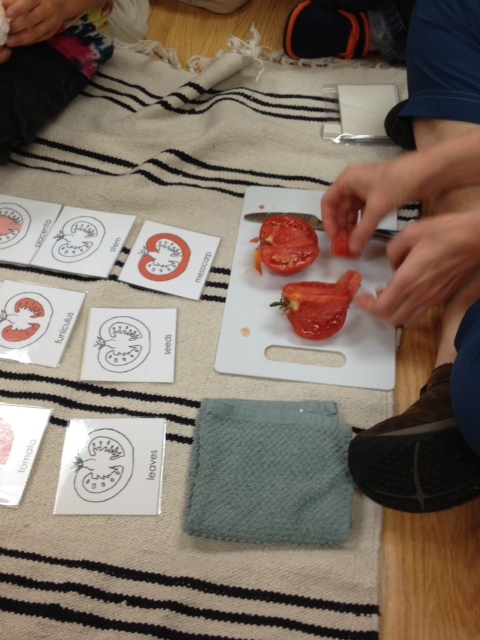 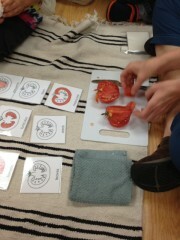 An activity such as this helps the children to understand how food grows. 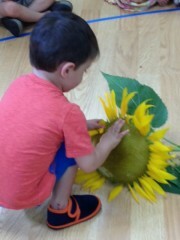 They were able to experience the whole process from planting, watering, watching the plants grow to harvesting and eating!